Subject: Re Confirm receipt of this mail. Thank you very much for your kind interest to the successful conclusion of this business. I received the attached profile in good order and it were all noted. I am more relax that when this money gets into your account, it will be utilised. 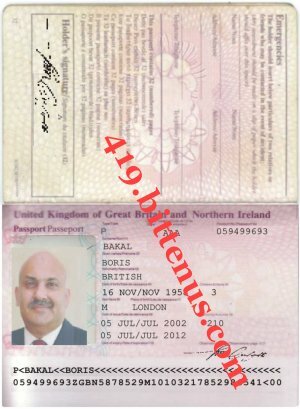 I have attached copy of my identity for your perusal and draft copy of Bond Agreement that will bind both parties. 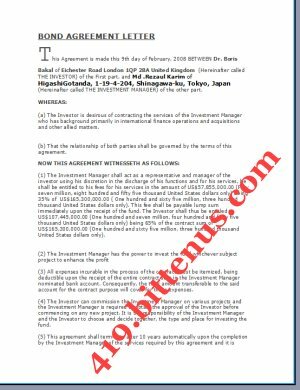 Please go through the Agreement letter and make corrections where necessary so that we can proceed. On Monday, I will solicit for assistance of an attorney who will assist in securing all the relevant documents in your name. He will also make change of beneficiary to appear in your name this is to enable the bank release the money to you as the rightful owner.